Since 41% of businesses find they do not need a website, do the above reasons justify why every business needs a website now? Let’s also not forget social media comes hand in hand with a website to provide a great overall support and experience to your visitors and prospects!! As often as we advocate how important social media is an integral part for businesses. There are also times we want to advise why a company MAY NOT want to get involved in social media now. Many of us always debate about which is more important, which we should invest more time and investment in – SEO or PPC? The former is relatively cheaper but takes a longer time for you to reap the benefits, while you could possibly see immediate results with the latter, but not with a bigger digital marketing budget. David McBee provided a very amusing and interesting infographic using Dieting VS Plastic Surgery as an analogy! 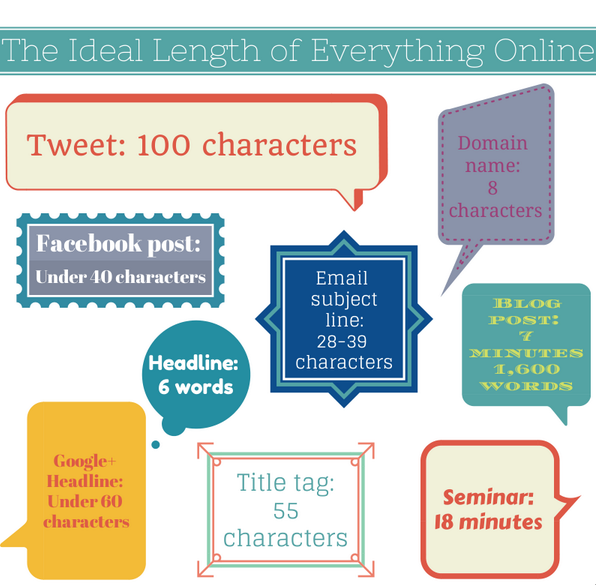 What is the ideal length of…. How long should your tweet be… your blog post… your domain name even?! 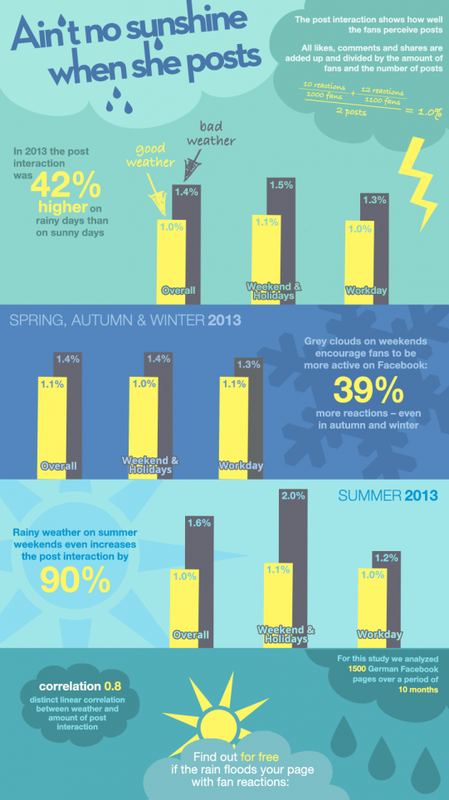 Does weather affect interactivity on social media?